New construction without the wait! Beautiful home with a true large entry foyer, big double closet, leading into vaulted greatroom with gas fireplace (logs included! ), lovely kitchen has upgraded white cabs, full pantry, upgraded appliances, plant shelves/ledges & breakfast area. 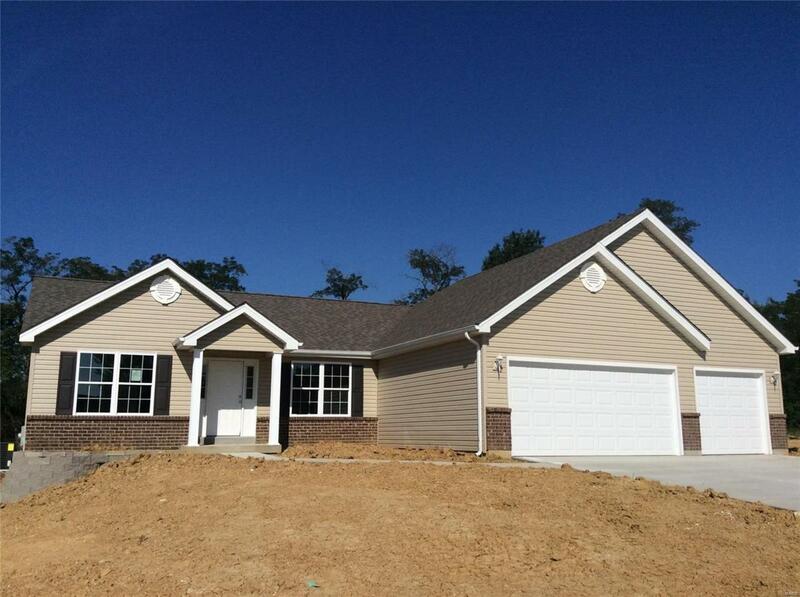 Master suite has vaulted ceilings, ceiling fan, his/her closets, double sinks & tons of natural light in bath. Opposite side of home has two big bedrooms separated by full bath, both bdrms have overhead fixtures! Main floor laundry offers even more closets & storage. Builder designed basement with future finish in mind by keeping the area wide open, tucked the full rough-in at far end near the egress window which means you can add another bedroom! 3 car garage, very spacious side yard & rear of home backs to farmland. *Builder can sod the area between garage & front sidewalk if Buyer choses. Listing provided courtesy of Unique Solutions Real Estate C. Listing information © 2019 Mid America Regional Information Systems, Inc.